Trail Pals Horse Trailer Accessory Store sells hard to find horse trailer parts and accessories. As a Trail Pals customer you can rest assured that we will provide you with the best possible customer service that we can. 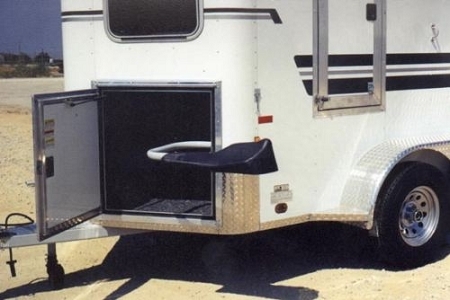 If we are unable to sell you the part you need for your horse trailer we will help you find it! We are more interested in making friends than making a new customer. We are a Christian based company who prides ourselves on our integrity, honesty, and stand behind our parts and our customer service. If for some reason you are not happy with purchase, please let us know. We will do everything in our power to make it right. We encourage our customers to check out shipping information page about questions with shipping. And check out our Return Policy page for information on how to return a product that you don’t want or ordered by mistake. Again thank you so much for choosing Trail Pals Horse Trailer Accessory Store for your horse trailer parts and accessory needs. If you need to contact us you can do so my email at info at trail pals dot com, by phone at one eight four four two nine six five zero zero six, by fax at one eight eight eight four five six seven nine eight two, or if you have trained a homing pigeon do deliver messages, we will gladly take your communications. This heavy-duty molded plastic & rubber composite saddle rack is actually designed to upgrade any level saddle rack. This sturdy saddle rack is hollow underneath, and it fastens over any existing rack (metal or wood), so that your saddle fits better and will not slide off when the trailer is moving. Install by drilling holes & fastening to the saddle rack with the proper screws, carriage bolts or or U-bolts (fasteners not included). The back can easily be cut with a saw to fit over the existing saddle rack. Black recycled rubber & plastic. Made from recycled rubber tire & plastic materials. Black. There are no pre-drilled mounting holes, as this rack will be need to be custom-mounted, probably with U bolts or screws & washers to the existing saddle rack. *in the pic: an example of how to mount this saddle rack--the back of the saddle rack has had a hole cut in the back to	accommodate the shape of the pipe it is mounted to. *OFC: This product has an extra charge in addition to the flat-rate shipping charges for shipping an oversize & overweight box by ground. SAVE MONEY and STRESS with our FLAT-RATE SHIPPING PRICES! Our shipping charges are based on the dollar amount of the order, so that all of our customers pay the same shipping prices. Some over-sized & over-weight items have an extra shipping fee that is clearly shown. We strive to SHIP FAST--- most orders go out the same day or within 48 hours (except on weekends & holidays). *Over-size & over-weight items have additional shipping charges. These items are clearly marked beside the product. **LOCAL SHOPPERS: You may call in your order & pay before you visit, if you would like. We will have your order packaged & waiting at WILL CALL. You may also call to verify if the product you’re looking for is in stock. Some items, such as large items, may not be at the store location. Five Easy Ways To Order! Shop confidently on our secure site. We also accept orders by telephone 1-844-296-5006 & Fax 1-888-456-7982. E-mail and US Mail info is on the Contact Us page. Click HERE to print our order form. Your Checks and Money Orders are always welcome! Copyright Trail Pals. All Rights Reserved. eCommerce Software by Lunar Developers.